A different world lies beneath our visions as refugees struggle to find any form of identity or belonging in a country that will not accept them. Thousands of Burmese refugees live in camps along the Thai-Myanmar border while organizations like Women’s Education for Advancement and Empowerment (WEAVE) work to give these people a new hope for the future. Many of you who travel to Thailand will travel to see the picturesque images that streak the front of every post card. Beneath those images, however, lies a different scene, one that most of us could probably never fathom. Along the Thai-Myanmar border, there lie 9 refugee camps, with 4 in Northern Mae Hong Son province, 2 down South in Kanchanaburi and Ratchaburi provinces and 3 Mae Sot district, Tak province. Over a hundred thousand Burmese refugees live in these camps, some have lived in the camps for more than 20 years and even many have been born there. Originally, the refugees who resided in these makeshift camps have fled ethnic areas in Myanmar for one reason, the civil war have destroyed people’s lives and properties. 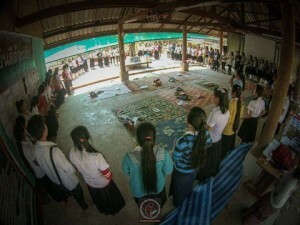 Yet, over the years, the growing instability inside the country left people with very little hope and choice but to come to Thailand on the following grounds, militant rule, struggle over land rights, the hope to find education opportunities and economic stability in a developed state, to mention a few. 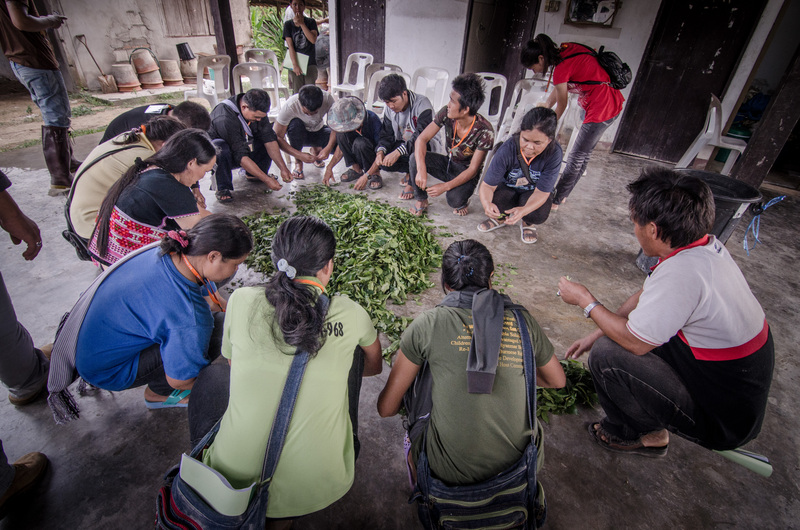 For more than 26 years now, Thailand has provided sanctuary to these displaced people. But the very restrictive refugee movement has resulted to high dependency on humanitarian aid/relief from International NGO’s. 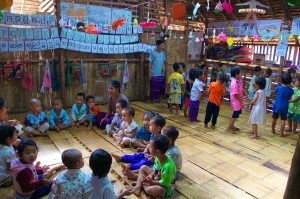 While the democratic reform in Myanmar is welcomed, however, the refugees are uncertain about their future. This is compounded with the talks on refugee return as well as the shifts in donor’s funding priorities inside Myanmar. With the decline in humanitarian assistance, it is also foreseen that the levels of education and health service provision will be affected. This scenario is expected to increase further vulnerabilities, especially in women and children, as they face daily struggles to find food, work and hope. WEAVE’s work with refugee women and children started in 1990. 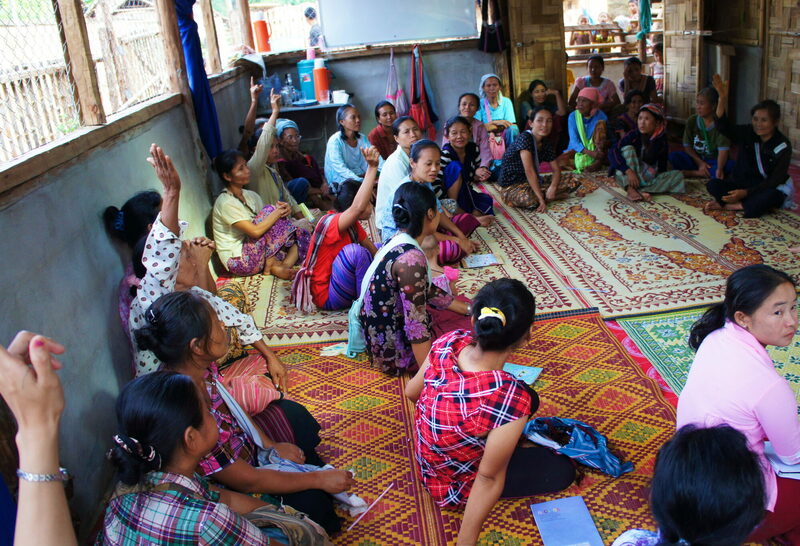 In 2004 WEAVE formed strategic partnerships with multi-ethnic women’s groups displaced in Thailand and other surrounding countries of Myanmar. The intent then was to create action-oriented programs that addresses women and children’s practical and direct needs They began providing learning and education interventions through early childhood care and development, women’s public health, women’s safe income generation, girls and women’s education addressing concerns such as violence against women, to mention a few. One of the most significant contributions that WEAVE brought into the community was the economic empowerment and development of women. In the refugee camps, employment opportunities are extremely scarce and poverty is massive. According to Ms. Mitos Urgel, Executive Director of WEAVE, we understood that for refugee women, poverty means more than having little or no income. It means lacking control over their income, even in the family. It means missing opportunities because they lack power and voice. It means missing out because they are under counted, undervalued, under served and under represented. WEAVE felt the necessity and opportunity to offer alternatives by not only enhancing the traditional craft-making skills of refugee women but also to provide safe access to product and small business development and marketing and most importantly empowering women artisans to possess appropriate tools to fight against marginalization, poverty and gender discrimination. 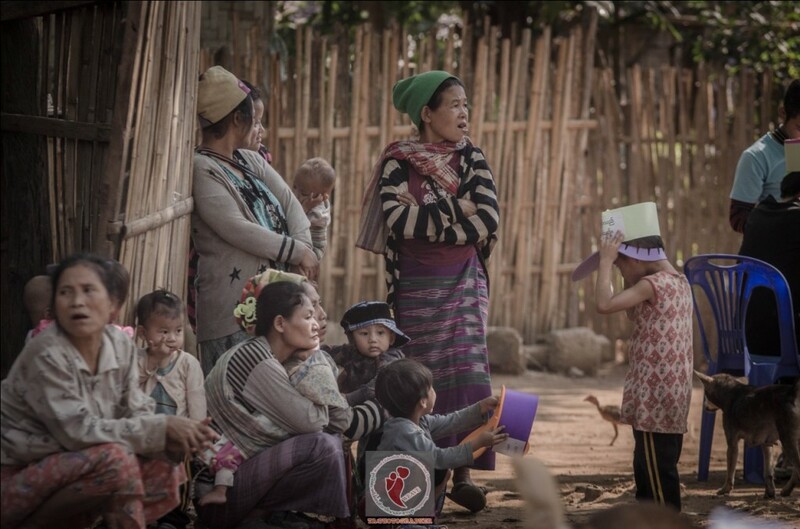 Maw Soe Meh, a Karenni ethnic woman who lives with her husband and 5 sons in the refugee camp has depended from the relief goods provided by international humanitarian/aid groups for more than 15 years now. Yet, the monthly refugee food ration which contains small portions of rice, soya beans, oil, salt and fish paste is never sufficient to meet the family’s needs. 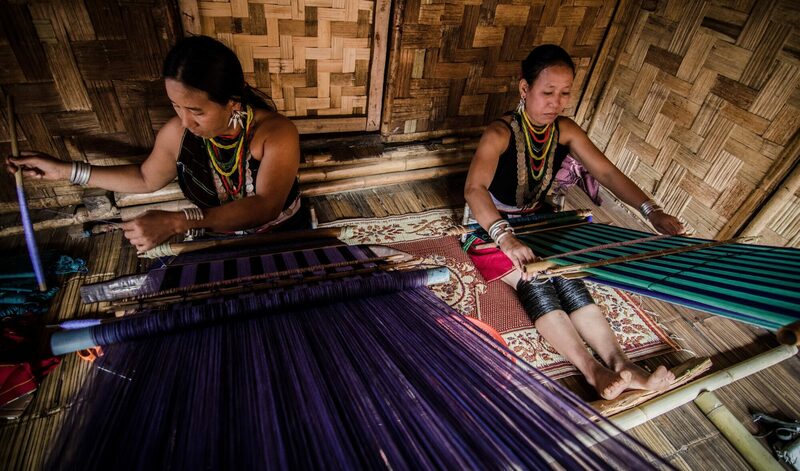 Maw Soe Meh’s involvement in WEAVE’s Fair Trade handicraft project has become an important aspect in her life. And she has this to say: “I started weaving for WEAVE in the last 3 years and despite the difficulties and challenges, I strived to gather strength by working with other refugee women artisans who are in the same situation as I am. With hard work and determination, I am able to bring additional income to supplement our family needs. Most importantly, I have gained confidence in making decision on how best to spend my income that will greatly benefit my family”. Women’s Education for Advancement and Empowerment © 2019. All Rights Reserved.